Emmaus Nicopolis, an ancient Byzantine Roman city founded in the 3rd century, was built on the ruins of the Hammat settlement (named after the hot springs that were rich in sulfur in the area). 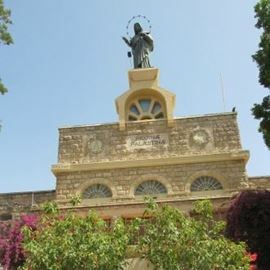 At first, the place was called Emmatos in Greek and later changed to Emmaus. Archaeological excavations at the site revealed a Byzantine church in the shape of a basilica 46.4 long with a width of 24.4 meters, luxurious mosaic floors, a baptism for bathing and bathing, a baptismal basin in the shape of a cross, a mosaic with a Greek inscription "In the name of the Father the Son and the Holy Spirit," a Tabula Ansata with Greek inscriptions, the remains of a Crusader church built on the remains of a Byzantine church, the remains of a water plant that includes tunnels and canals, aqueducts that led the water from al-Aqad spring and from A-Tina well, both located in the area of the Monastery of the Silence with a large bathhouse that was completely exposed and features vaulted ceilings, a steam room, etc. 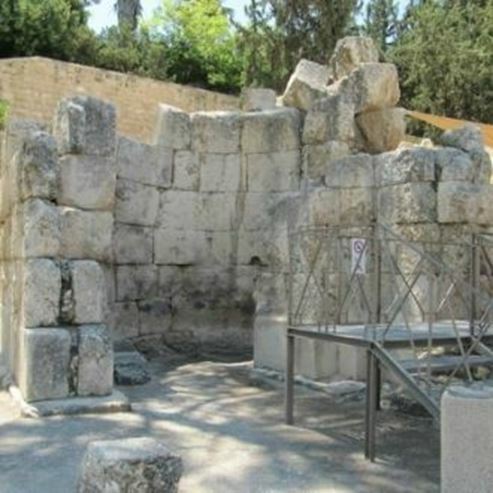 The site contains an ancient cemetery of the city of Emmaus, where remains of rock-hewn tombs were exposed, as well as two burial caves of Jews who were residents of the city of Emmaus. In one of the caves eight rock-cut tombs, ruins from the Talmudic period and two limestone ossuaries with Jewish symbols engraved on them were discovered. For groups of visitors, there is a possibility to tour the site under the guidance of the members of the community or to meet with one of them by appointment: 08-9256940/052-3562071. The restoration and preservation of the site are carried out with donations from visitors only. every donation counts. A Byzantine basilica that was restored by the Crusaders, a marble slab with a Greek inscription, a ritual bath, mosaics, a Byzantine quarry, tombs from the Roman period, and the remains of the Bishop of Nicopolis. 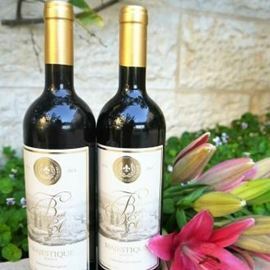 For those coming from the center (Tel Aviv - Jerusalem) on Highway 1, at the Latrun interchange turn right, at the junction turn left (Road 3) and drive straight about half a kilometer. The church is on the right side (immediately after the traffic lights). 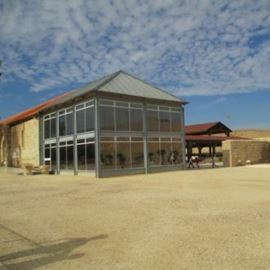 For those coming from the west - Masmiya junction - Latrun (Road 3), drive to the Latrun interchange and the traffic lights, continue straight about 50 meters, to the right is the entrance gate to Emmaus.